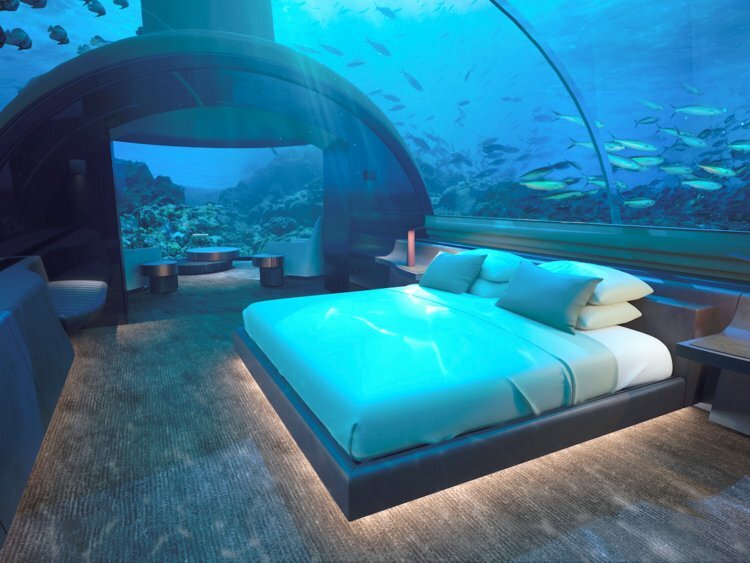 If you are a traveler and can afford luxury, you can now stay at the world's first ever underwater villa in the Maldives. The two-story villa is located around 16 feet below the Indian Ocean, and has been named 'Muraka', which, in the local Dhivehi language, means coral, reports CNN. Muraka is a part of the Conrad Maldives Rangali island resort. The villa boasts of a private gym, a bar, an infinity pool, butler's quarters, an ocean-facing bathtub and an underwater bedroom with uninterrupted views of the ocean. The top floor of the villa, which is situated above the water, has a typical deck where one can soak up the sun. In order to avail this unbelievable piece of luxury, you will have shell out $50,000 (Rs. 36.67 lakh) per night. The only catch is that one has to book it for a minimum of four nights. Although, Muraka isn't the first underwater concept since the resort already has an underwater five-star restaurant named 'Ithaa'. The villa was built in Singapore on land and was brought into the Maldives with the help of a special purpose ship. The whole structure was then lowered into the water and was put into place with the help of concrete pylons which would eventually help to keep it steady from rough waves or high tides.